Google is expected to release some new feature for the Samsung mobiles as, the invitation to the Samsung mobile unpacked 2011 event mentions a term as “Google Episode”. The event is to be held at San Diego this 11th of October. One more speciality of this event is, the event is going to stream for everyone on YouTube. In such events Google uses their reserved bandwidth. 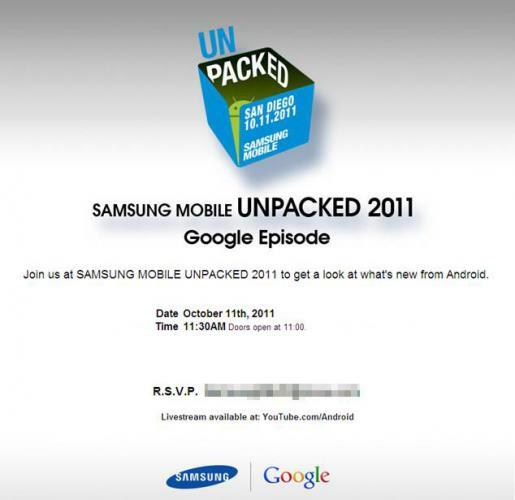 The invitation also says that it will unveil some of the new features of Android. Well, the Google episode may also refer to the Ice cream Sandwich, which is the new Android version. Whatever is revealed in the event, is really going to be a big one as, we can see these big Tech giants got together to present the same.